Arizona School for the Arts: Cultivating the Next Generation of AZ Leaders – Artworks PHX – a business-arts campaign in Phoenix, Arizona USA. 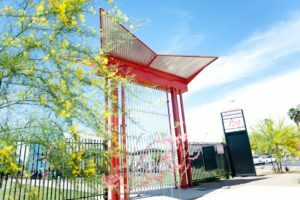 Arizona School for the Arts (ASA) is one of the first urban infill projects established in downtown Phoenix in 1995, championed by passionate residents in the downtown community demanding better school choices where arts play a central role in a holistic education. 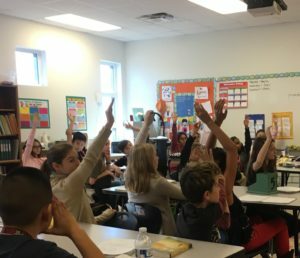 Located at the northwest corner of 3rd Street and McDowell, ASA is a unique gem among Arizona schools: a 5th through 12th grade, nonprofit public charter school with a concentration on performing arts – music, theatre, and dance. Academic faculty are content area experts with a passion for teaching and many of its teaching artists are also professional performing artists. ASA’s graduates are admitted to top colleges and universities throughout the nation, and test scores are among the highest in the state. ASA students thrive intellectually, creatively, and emotionally in a culture that is committed to personal expression, inclusivity, risk-taking, empathic reasoning, and problem solving. Due to limited resources and campus capacity, ASA has formed strong community partnerships and leveraged relationships to ensure students have all the resources they deserve. The Burton Barr Phoenix Public Library, Phoenix Center for the Arts, and The Nash are considered part of ASA to many students. Senior Leadership, Board Members, students and parents are integrated into the surrounding community and downtown development through their active participation in affiliate organizations with widespread reach and impact. Some of the partnerships and affiliations that enrich ASA include Phoenix Community Alliance, Hance Park Conservancy, City of Phoenix Office of Arts and Culture, Arizona Citizens for the Arts, The Central Arts District, Local First Arizona, and Roosevelt Row. The correlation between playing music and improved cognition is well-documented. However, beyond purely cognitive benefits are the immeasurable long-term social and emotional gains. 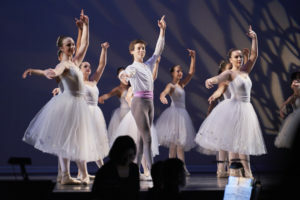 Performing arts teaches creative problem-solving and builds confidence and inclusivity among students. A misconception about the school is “performing arts at the expense of academic excellence.” Nothing could be further from the truth. Statistically speaking, ASA has an enviable academic pedigree. In fact, 63 percent of ASA Faculty and Teaching Artists hold advanced degrees. ASA typically ranks in the top 15 Arizona high schools according to U.S. News and World Report and 95 percent or more of ASA graduates attend a college or university. On average, 15 percent of graduating classes have national merit recognition. It is this mindful balance of performing arts and academics that has truly created a school like no other in Arizona. ASA students come from 106 zip codes in Maricopa County, which means you will find these young leaders in Gilbert, Anthem, Goodyear, and down at the state Capitol advocating, volunteering, serving on youth councils, and helping shape Arizona’s future. ASA students build invaluable leadership skills that distinguish them as scholars, creative thinkers, and civic leaders; coveted qualities that set them up for future success. Learn more about ASA here!